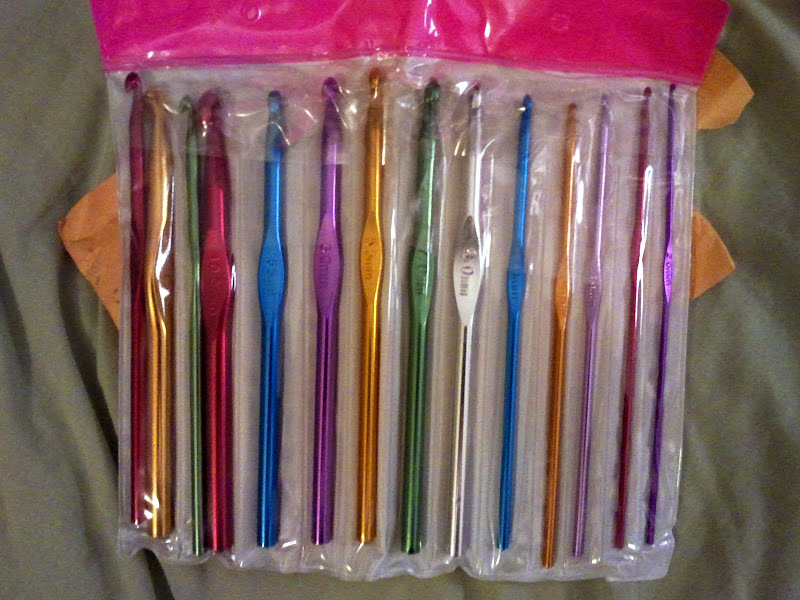 I tried to buy a set of crochet hooks from a craft store, but alas they were not interested in selling them to me. By craft store I mean Lincraft and Spotlight – I have no idea where the little boutique ones are in Brisbane. I’m guessing they’re out of the way and extremely difficult to manouver a pram around, if the Melbourne ones are anything to go by. So in the end I couldn’t go past 14 colourful aluminium hooks for $6.45, postage included. An ebay special, of course! A very unattractive photo, I know. I’m attempting to use each hook on a project – something that probably won’t last. So far I’ve used the yellow 9mm, the red 5mm, and x 2.5mm.